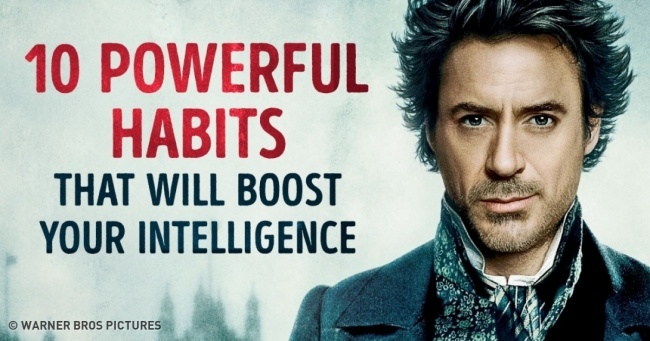 10 Powerful Habits That Will Boost Your Intelligence - Something New Everyday! To stay healthy, your brain needs exercise just like your muscles do. Spending a few minutes doing mental exercises will not only help strengthen your thinking but also improve your memory and even calm your mind. So today Bright Side brings you 10 habits that can help you expand your brain and exercise your mind. If you do not step out of your comfort zone and begin to experiment with new things, you may miss something that can change your life or your mind. Search for courses that catch your attention, and learn about a field you don't know much about. Learn from the people around you. Share the information you've stored in your brain over the years with a person who has done the same. Express your ideas, and develop new thoughts from the blending of your knowledge. If you start to watch your mind, how it behaves, and what it releases when you meditate, you'll get to know a little more. This break point can be revealing for your brain, and you'll feel how your mind relaxes. Here's a test of your imagination and creative thinking.